June 15, 2001: Daniel Clowes is at the Seattle International Film Festival doing press before the premiere of Ghost World, the celluloid adaptation of his well-received serial comic. Clowes, wearing a windbreaker over his button-down shirt, is booked for a busy afternoon of interviews. I was given my 20 minutes with him at 3:30. He is easy-going and surprisingly chatty. We speak in room 426 of the Sheraton Hotel. SCRAM: Is Goofie Gus something you made up? CLOWES: No, Goofie Gus is completely mine. It was a toy I had as a kid, actually, and we tried to get it in the movie originally. They have all these problems with clearances and rights and things like that, and they said, “We can’t trace this back to the original toy company, so we can’t let you use it in the film.” I was like, “But you don’t understand! It’s very important that we get this in the film!” So at the last minute they said, “Well, if you change it like 33 percent then you can use it.” So we put this ridiculous blonde wig on it. (laughs) It’s one of the most absurd things I’ve ever seen. In the film you can’t quite see it so it just looks like a weird doll of some kind. But I took the prop home, since it was my Goofie Gus in the first place, and I had it on display with the wig on it. People wonder, “What? Why did you put the wig on it?” That was the most ridiculous thing. SCRAM: Enid’s record that was in the comic was the same record used in the movie? SCRAM: Is that the same record you had in mind when you drew the comic? SCRAM: What is it? Who sings that? CLOWES: There were these two girls named Patience & Prudence, who were the daughters of some producer at Liberty Records, and their big #1 hit was “Tonight You Belong to Me.” They did two or three other singles, and “A Smile and a Ribbon” was the b-side to one. Only Prudence sings it, not her sister Patience. I bought it when I was a teenager for some reason. I was always embarrassed to tell people that I thought it was a really strong emotional song for me. I couldn’t quite figure out why. SCRAM: It was touching scene in the movie. CLOWES: It’s very hard to make stuff like that work. SCRAM: The opening scene with that Indian dance video: was that something shot for the movie or was that something you found someplace? 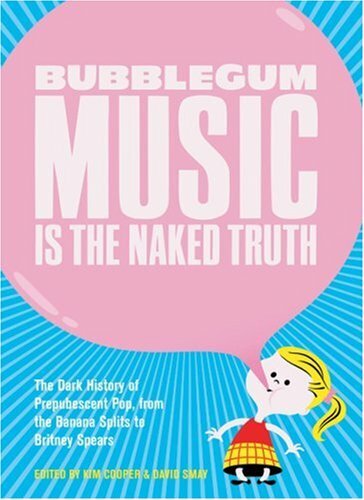 CLOWES: It was one of those tapes that guys like me get from people, where you get like a 20th generation tape: “Hey, you gotta see this, man.” A friend of mine who was house-sitting for this guy—Peter Holsapple, who used to be in this band the dBs in the ‘80s—he has the great collection of video detritus like that, just stuff that he’s taped. And so my friend made a bunch of tapes of stuff while he was staying there and said, “Hey, you gotta see this Indian video.” It was a really grainy, horrible version of it, but it was the most amazing thing I’ve seen in my life! “What is this?” I showed it to Terry one day and he said, “Oh, we gotta get that in the film, it’s perfect for Enid.” We tried to figure out what it was, and we just had no luck. And so we wrote it into the film, just praying we could find it somehow. By pure luck, John Malkovich was one of our producers, and he had really championed some Indian film in like 1996, so the Indians in the film business were very grateful to him, so they said [in Indian accent] “We will find!” We sent them a tape of it and they said, “Oh yes, it’s from Gumnaam, 1965, directed by so-and-so.” It was a very famous film. Gumnaam means “nameless.” As all Indian films are, it’s a musical. It’s actually kind of a mystery, it’s based on Agatha Christie’s Ten Little Indians. It’s sort of a murder mystery on an island. And that scene really has almost nothing whatsoever to do with the rest of the movie. It’s the original music, and it’s actually the opening theme to the film. We met the sons of the guys who produced it, they actually came to the set the day we were shooting and watching that. They were so proud. [Indian accent again]“We remember being on the set when this was filmed! Our father would be proud to be in an American film!” So we got a perfect print. It was just the greatest thing. SCRAM: It looks so sharp and vivid. SCRAM: You and Terry co-wrote the screenplay. SCRAM: How much input did you have on the rest of the film? Were you on the set, or did you have some say in the casting? CLOWES: I had more input than any screenwriter ever is allowed. It was really amazing. I got to be there for all of the pre-production, which involves the casting and hiring set designers and things like that. So I got to do all the casting and help design the costumes and help plan out the sets. Then I got to be there for all the shooting. Terry pretty much conferred with me before every single take, and I really got to have a big say. Terry felt that those girls especially were my characters, and didn’t want to do anything that I didn’t approve of. You never get that from any other director. Most directors are like, “Ban the writer from the set—you can come to the premiere.” Most writers will be seeing their films for the first time tomorrow night [at their respective film festival premieres]. It was amazingly lucky. Although, then again, when you’re a writer you just get paid for the script, so everything I did was on the house for the last year-and-a-half. SCRAM: But it’s got your name on it. CLOWES: It’s got my name on it, and I figure a movie really does live for a long time, so you should do what you can while you have the chance. That was the amazing thing to me to be on the set and realize, “I could change something right here that will be in the film and will exist for however long this film exists, however long DVDs are around. I could move this piece of paper in the background–” It’s such an odd feeling. It’s cool. SCRAM: There were a lot of scenes drawn from other Eightball stories, like “Art School Confidential,” and Feldman, the guy on the scooter who knew all the trivia. Are there any scenes like those that that didn’t make the final cut? CLOWES: There was stuff from the comic that was sort of more verbatim stuff, that was really funny in the comic and then we filmed it and it just didn’t work as well in the film somehow. We learned during the making of it that the film had to be its own thing, and we couldn’t just copy the comic. We really had to re-think every single thing to make it work on film. Like, in the diner scene, when they’re with the Weird Al guy, the waiter—we had all the dialogue from the comic, where there’s page after page of them making fun of the songs and stuff. I thought it was hilarious when we were filming it, but then we watched it, it was kind of tedious, so we just dropped it. It’s weird what stuff worked and what didn’t. SCRAM: There were scenes that I anticipated that didn’t happen. I kept waiting for the scene in the grocery store where the girls see the Lunchables in the Satanists’ shopping cart. CLOWES: We actually had that in the script for a while, but we didn’t have room for it or time for it. I’m glad we cut it out because it later turned out you couldn’t ever get clearance on stuff like that. It would never have been funny with anything other than Lunchables. We would have never gotten it. You would’ve needed Kraft to watch the whole film and sign off of on it. They’d think “Oh, you’re making fun of us.” Which, of course, we would’ve been. SCRAM: In Eightball you drew a nightmare scenario about “Velvet Glove” being turned into a movie. Did you have any experiences like that? CLOWES: I had stuff that was just like that, except not while the film was actually being made. We’d have these meetings and I could just see that these people were really sleazy and disreputable but I was so intrigued by the whole process that I’d keep going to meetings and stringing them along, and then I’d always at some point stop answering my phone and blow ‘em off. I could so imagine how it would be to make a film and have no control and you don’t trust the people at all. But with this film, it was always me and Terry and this producer, Lianne Halfton. It was really just the three of us the whole time and we never had to face any of that kind of stuff. It just wasn’t an issue. If you get along with your producer and your director, there’s really nobody left to betray you. And it’s not a big enough film where the studio would take it away and re-edit it. They know the only value the film has is ours. There’s no point in them trying to change it. SCRAM: You’re happy with how it turned out? CLOWES: Yeah, it was miraculous how close it is to what I wanted to get on the screen. It’s that and much more. It was really a great experience. It was really long and drawn-out and tedious at times. Three years in writing the script just goes forever. We started in 1997 and the premiere is here in 2001. There were lots of ups and downs and heartbreaks along the way, where we almost got it made and then we backed out at the last minute because we weren’t too sure. Now that it’s all done I can forget about all those miserable days sitting by the phone that never rings, and now I’m very thrilled with it and really proud. SCRAM: Any other comics that you have in mind for a movie? CLOWES: Terry and I, we like that whole art school thing. We could do a whole art school film, that could be fun. I was telling somebody that, to me, my four years in art school were what Vietnam was to Oliver Stone. (laughs) There’s so much material that I could go on forever, just an endless fount of stuff. SCRAM: I always pictured Chicago in the summer, as Enid and Rebecca wore summery clothes. CLOWES: That was my good excuse that it could be anywhere, so they don’t have to wear down parkas. SCRAM: It would have to be a big enough city to have its own ‘zine shop. CLOWES: Right. People always say, “It’s set in suburbia,” and I go, “No, they don’t have Zine-O-Phobia in suburbia.” (laughs) If you look hard you can see a SCRAM or two in the background. SCRAM: I looked hard but I didn’t see one. I could only pick out the Monkey Rock ‘n Roll issue of Roctober. CLOWES: There definitely is one. You have to freeze-frame it. It’s pretty tough to see some stuff, but there’s definitely a SCRAM in there. SCRAM: I’ll check again when it comes out on video— Seymour’s character is totally new in the movie. Was he drawn from the Bob Skeetes character in the comic? Or someone else? 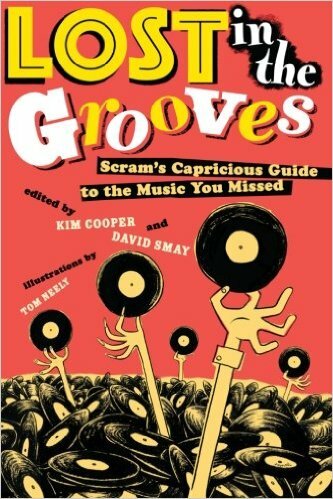 SCRAM: Seymour’s ragtime fixation brought to mind Chris Ware. CLOWES: In the script he was “Man with hair on his back,” or something like that. [It actually reads: “A large, hirsute MAN, wearing only Lycra jogging shorts, watches the Home Shopping Network while eating mashed potatoes with his fingers–”] The extras guys—they read the script very carefully and they want to bring in exactly what you have in there—and so the extras casting guy came in and had nine Polaroids of guys photographed from the back, with hair all over. My God, who would to humiliate themselves like that? (laughs) So that guy had the haircut too, and we thought, “Boy, that’s an added bonus.” He was amazing. That was one of the funniest days, when we shot all those guys. SCRAM: A character who got a big response was Doug, the redneck guy who hangs out at the convenience store. CLOWES: Yeah, that guy was the real thing. We had seen a tape of all this stuff he’d done where he played characters like that, these kind of dirtball characters. You could tell he absolutely understood that. He wasn’t playing down to it. We could tell he was totally from that world and understood every nuance of it so well, and we basically wrote that scene like, “Dave Sheridan ad-libs next five lines.” We just turned the camera on him and let him do all that stuff. He showed up on the set that day—we hadn’t seen him since we cast him five months earlier—he shows up with that haircut, which he had given himself. And he actually had those tan lines, he had gone out that weekend and had gotten sunburned with a tanktop on. Everything he did was so flawless. We didn’t have to do any work on that guy at all. SCRAM: I like the outtake scene following the credits where Seymour beats him up. SCRAM: Joey McCobb, the painfully bad standup comedian, was really true to the comic. CLOWES: The reason that’s true is because the guy who played Joey McCobb is my best friend, who invented Joey McCobb. One day we were in a train station and he just said, “Wouldn’t it be funny if there was some corny comedian who made up all those jokes off the top of his head: ‘Take my wife, please.’” We were casting the film and we tried to get a real comedian to play it. We tried all these actors but they just weren’t that funny, and I said, “Why don’t we just get Charles [Schneider] to do it himself?” He came in and Terry was like, “Why didn’t we get him in the first place? He’s perfect!” So it’s a very rare instance of somebody playing a character that they made up themselves. SCRAM: It looked like you did a lot of your own original artwork in the movie, like in Enid’s sketchbook. Did you do the Laugh Grotto backdrop? CLOWES: Yeah, I designed that font. They have painters in Hollywood who can do anything, so I had drawn this little thing and said, “Make it like this.” Next thing you know it’s this 3-D, perfect, amazing thing. I did all the logos for the Cook’s Chicken as it changes into a more modern company, and the painters printed that stuff on stationery and everything. SCRAM: I don’t know if you’re aware of this, but it got some crowd response at the screening I went to: the picture on the brochure for the Academy of Art and Design shows the campus of the University of Washington, where I go to school. CLOWES: Oh, is that right? That’s great! (laughs) I had no idea! The prop guy just made that up! That’s hilarious! SCRAM: A couple people in the audience were whispering about it to each other. CLOWES: I can’t wait to see that tomorrow night. That’s funny. SCRAM: So what’s next for Eightball? CLOWES: There’s a new Eightball that I have three pages left on that I’ve been trying to finish for the last two weeks. I had to do all these interviews everyday and I can never get anything done. But it’s a 40-page, all-color issue. Twenty-nine stories in 40 pages. CLOWES: It’s a wacky issue. It’s about this made-up suburbia sort of town. SCRAM: Is this the beginning of a new serial? CLOWES: No, it’s all self-contained, all by itself. SCRAM: Any additions you wish to make to those you “hate deeply”? CLOWES: You know, I need to start a new list. I can’t even remember some of the last ones. SCRAM: Are you happier in Berkeley or Chicago? CLOWES: I actually live in Oakland. Oakland is like the West Coast Chicago. It’s got all the decay and misery of Chicago, but nice weather. SCRAM: —and I interviewed Peter Bagge for SCRAM a few years ago and I got him to talk about baseball. Reading Eightball, I take it you’re baseball fan? CLOWES: I used to be, as a kid, and then when I went away to college I got away from it and stopped following it and I could never get back into it. So when I think of baseball, I could probably still tell you every member of the 1971 Cubs. I was so focused on that. But my knowledge stops at about 1980 or so. SCRAM: With me it’s the same, except it’s about 1977. I can name all the Yankees and Dodgers from that year. It’s funny how much more I can recall from that long ago, like it’s yesterday. SCRAM: Did you by any chance go to Disco Demolition Night at Comiskey Park? CLOWES: I remember it very well. I did not go, but I remember watching the news that night. I remember being sort of appalled, like, “They’re ruining our American pastime! How can they do this?” I went to school with Bill Veeck’s daughter. I used to be pretty good friends with his son. He was kind of a character, he collected old Edison Rolls. SCRAM: [Realizing my twenty minutes are up] Okay, thanks! CLOWES: Say no to drugs!